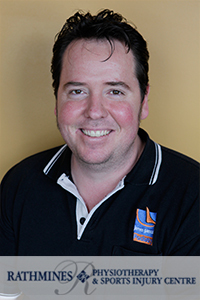 James Pascoe graduated from Queensland University of Technology (QUT) in 1994 with a Bachelor of Applied Science – Podiatry. James then moved to Mackay where he gained experience in private practice. He also established the Diabetes Clinic at the Mackay Base Hospital and worked closely with the Orthopaedic Department to help manage foot and ankle fractures. James then moved to Townsville where he continued to work in Private Practice that specialised in Sports Podiatry, Diabetes, Occupational Podiatry and general Foot Pathology. While in Townsville, James was the co-Podiatrist for the North Queensland Cowboys Rugby League team and was the Podiatrist for the Australian Defence Force (Army and RAAF). In 2002, James moved to Newcastle to continue Private Practice. James joined Rathmines Physiotherapy and Sports Injury Centre in 2008 as a consultant Podiatrist providing all aspects of Podiatry assessments and treatments to clients. James has completed a post graduate course in Interpretive Radiology and regularly attends continuing education events, especially those on biomechanics.